It has become essential for businesses to leverage their data to make critical business decisions and enhance their operations. 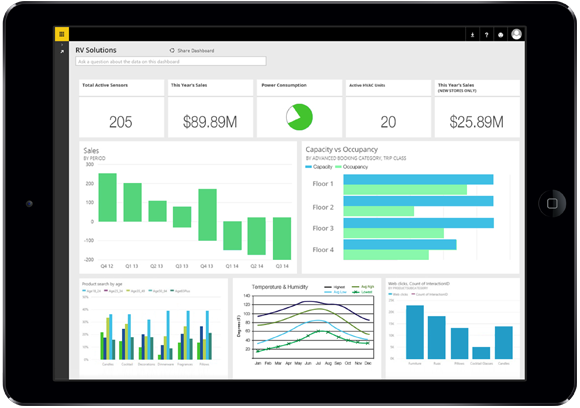 Power BI, a business analytical tool by Microsoft, gives you a single view of your entire business. DIAD workshop presented by Softweb Solutions along with Microsoft is specially designed for business professionals to get a better understanding on Power BI capabilities. This workshop will enable you to publish and share your visualization reports within organizational groups using mobile devices for better collaboration and give you the ability to meet organizational requirements around data analysis. Connect, collate, and transform heterogeneous data from a variety of sources. Explore and visualize insights with real-time Power BI dashboards. Build interactive reports for insights-driven decision-making and share them with your team and/or the world.